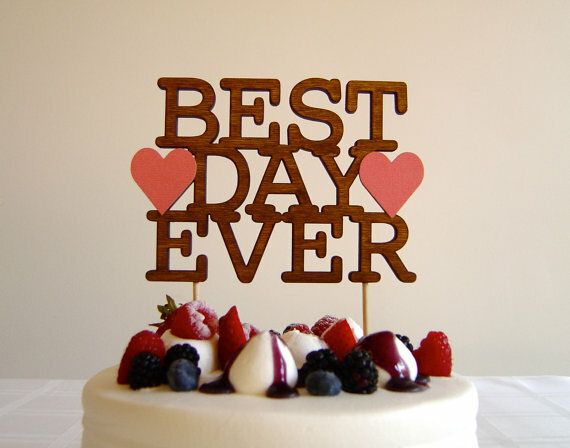 Wedding cake toppers are a lovely way to personalise your wedding cake. Rather than using a traditional figurine of the bride and groom, there are many contemporary and unique wedding cake toppers to finish off your cake. We have picked a selection of ideas for unique, personalised and custom wedding cake toppers to make your cake extra special. Perfect for the rustic wedding, this personalised cake topper features the initials of the newlywed married couple and a cute heart. It looks great on cakes with a simple design and gives an elegant yet rustic finish. 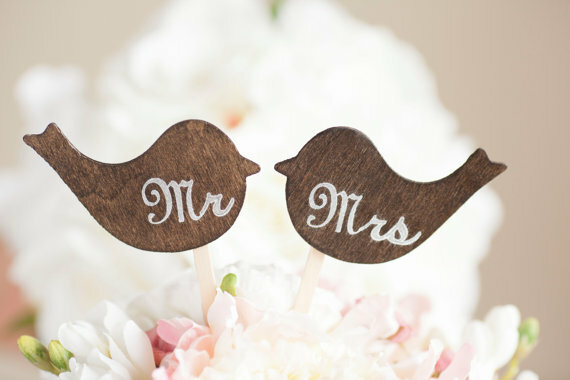 This set of two love birds are hand painted in natural dark wood colour and include a Mrs and Mrs stamp. They are so cute and provide a hint of rustic chic to your cake. Another gorgeous unique topper for a rustic wedding. 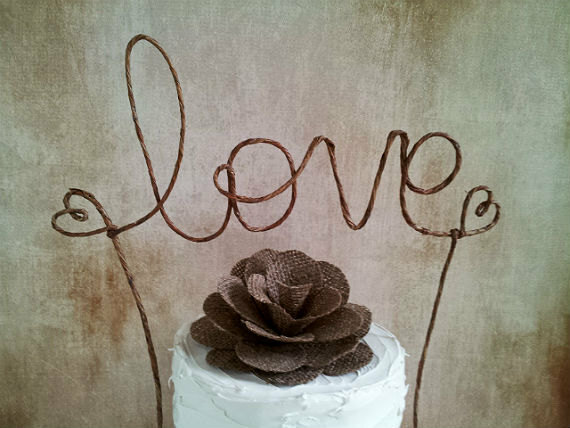 It is so simple and romantic and is perfect if you want the cake topper to be a focal point of the cake. 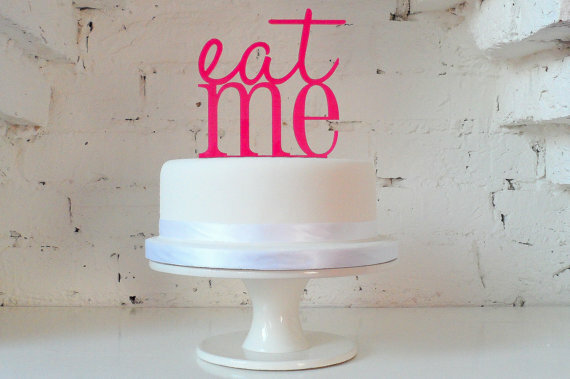 Inspired by Alice in Wonderland, this fun wedding cake topper is perfect to pretty up your cake and adds a touch of light-hearted fun for your guests. 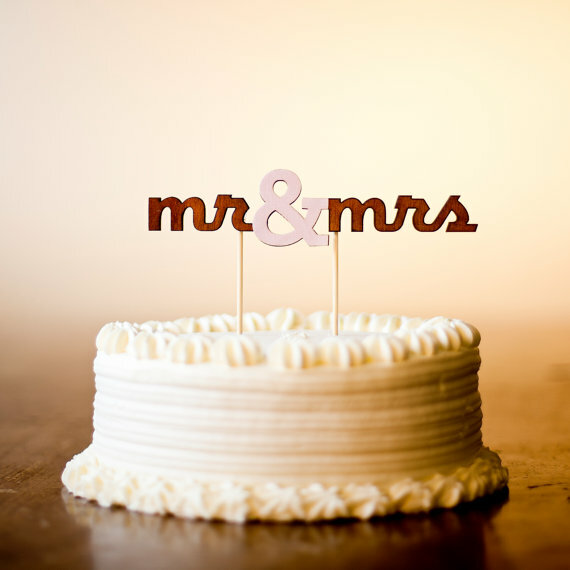 This cute wedding cake topper is simple and elegant with a romantic twist. Handcrafted from wood this is a cute alternative to traditional wedding cake toppers. It can also be customised to match your wedding colours. 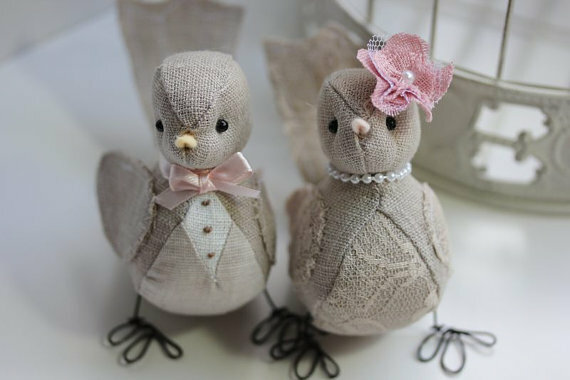 These beautiful handmade love birds are so cute and can be made to order in a range of colours. 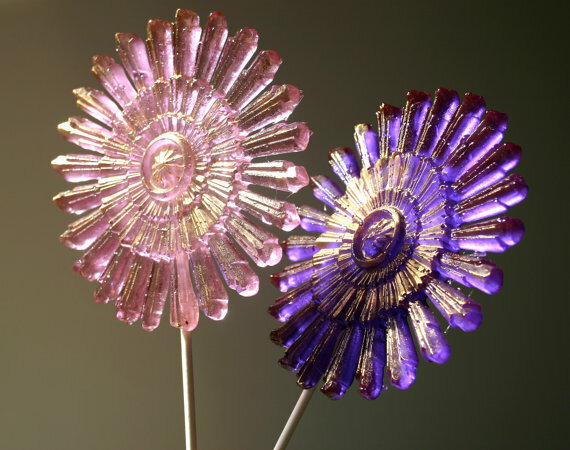 These art nouveau inspired pinwheel lollypops make a really unique wedding cake topper. Available in a range of colours, they can be used to decorate the top and the sides of your cake and they look so pretty. This chic and modern design will add a touch of bespoke elegance to any cake. 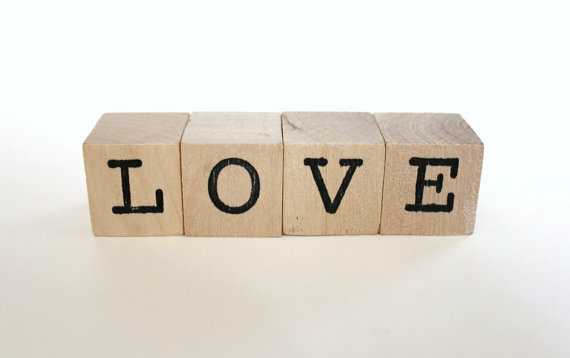 Personalised wood blocks make a unique wedding cake topper. 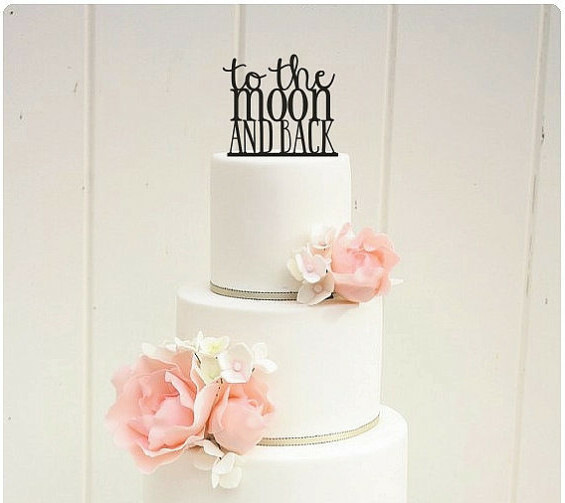 Get creative and have fun choosing the wording for your cake. Do you have a favourite? Let us know in the comments below. 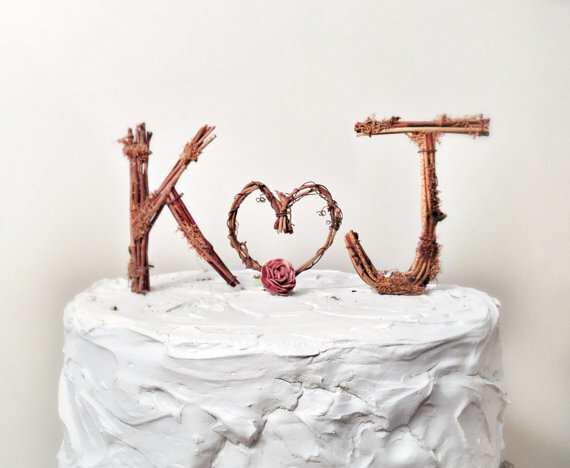 Where can I get the rustic monogram cake topper from please.